The Silk Roads continue to capture the imagination of the public, and in 2014, a section of the land routes were designated a World Heritage Site by UNESCO. Yet there was no single ‘Silk Road.’ Instead, a complex network of trade routes spanned Afro-Eurasia’s mountains, plains, deserts, and seas. From silk to spices, religion to dance, the traffic in goods and ideas was crucial to the development of civilizations through rich cultural interactions and economic activity. Centered around the dramatic landscapes of the Silk Roads, this beautiful volume honors the great diversity of medieval Afro-Eurasian cultures. From steppe to desert to ocean, each section includes maps, a historical and archaeological overview and thematic essays by leading historians worldwide, as well as sidebars showcasing objects that exemplify the art, archaeology and architecture of the Silk Roads. 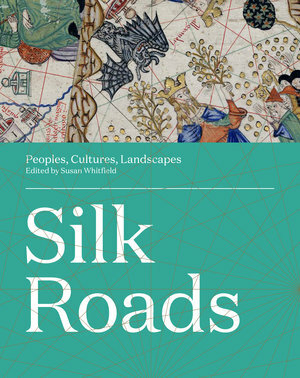 The author of numerous books and articles on the Silk Roads and China, including Life Along the Silk Road and Silk, Slaves, and Stupas, Susan Whitfield is a scholar, curator, writer, lecturer and traveler of the Silk Roads.